Amazing: 54-year-old woman gives birth to her grandchild. 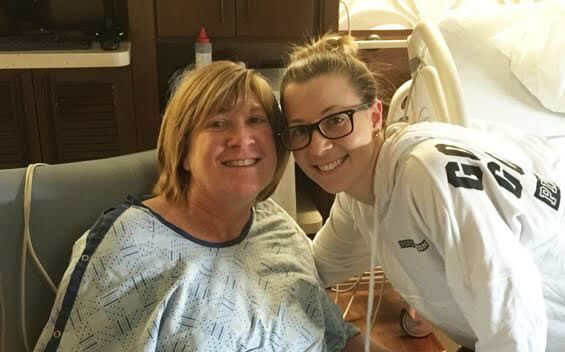 Tracey Thompson from North Texas has given birth to her own granddaughter after serving as a surrogate for her daughter, Kelley McKissack, 28. The 54-year-old delivered a 6-pound 11-ounce girl at The Medical Center of Plano. Doctors at the hospital say McKissack and her husband, Aaron McKissack, had undergone multiple infertility treatments only to suffer three miscarriages. According to a hospital statement released on Thursday, the Wylie, Texas, couple had four fertilized embryos left, so Tracey Thompson offered to be a surrogate, despite being seven years past menopause. The embryos were implanted in Thompson's womb last April. The McKissacks named the child Kelcey, a combination of the mother's and grandmother's names. Grandmother and child are doing well.